Ruby valley trek is a recent trekking trail in Ganesh Himal region of central Nepal in between the Manaslu Conservation Area and Langtang National Park. This unexplored valley is inhabited by Tamang, Gurung and Ghale to the north and Brahmin, Chhetri, Dalit, Chepang to the south in the lower elevations thus providing diverse culture, tradition and way of life. 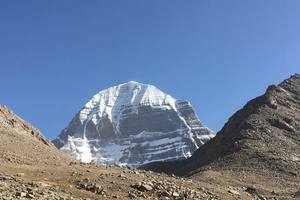 Different species of flora and fauna, waterfalls in the lush green hills with diverse geographical, cultural and biological diversity are some major features of this trek. 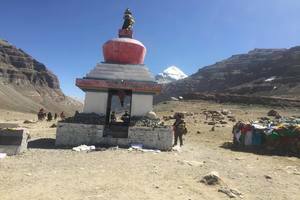 Ruby valley trek gives you the stunning panorama of magnificent Himalayan view of Ganesh massif, Manaslu, Lamjung Himal, Langtang and other peaks along with the magnificent Ganga Jamuna –twin waterfalls, Kalo, Seto lakes and Ganesh Kunda. This region is famous for valuable ruby stone after which the valley is named. Different itineraries are recommended for the Ruby Valley Trek as per the trekker’s convenience. 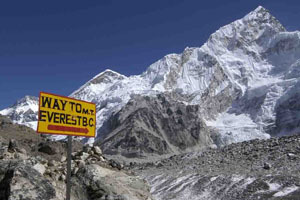 Usually, the trek begins after a drive from Kathmandu to Shyabru Besi. We follow a zigzag dirt track, cross Bahun Danda Pass and reach Tamang settlement of Gatlang. We go through pine and rhododendron forest to Parvati kund, Yuri Kharka and down to Somdang. From Somdang we head to Pangsang pass from where we can view beautiful villages of valley and soaring peaks of Manaslu and Ganesh Himal Range. 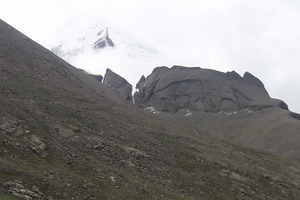 Next, we descend to Tipling and trek to villages of Sherlung and Chalish with abundant fields. We can enjoy the Tamang culture show with at Sherlung and Gurung traditions at Chalish. They both follow Buddhist practices. 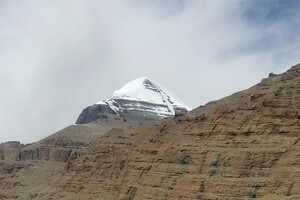 Sri Tinkanlya Devi Mandir lies above Chalish. From Chalish we trek to Borang continue, crossing suspension bridges over breathtaking Ankhu Khola, to Percho, Darkha Gaun(village) and all the way down to Darkha Phedi. Then we take a local jeep and arrive is Dhading Besi from where we head back to Kathmandu. On this journey we see Buddhist monasteries, calm ponds, stunning landscapes, different species of herbs, birds and wild animals such as Thar, Ghoral, Red panda, musk deer, monkey and many more. Since Ruby valley trek is on new & unspoiled route modern hotel facilities are not available. So, our accommodation is tent or home stay. The warm hospitability and friendly people of this region will stay on your heart forever. March to April and May are best times for this trek. Day 10: Drive back to Kathmandu from Phulkharkha. The trail ascends through pine and rhododendron forest to a lunch point of Yuri Kharka before continuing to Khurphu Bhanjyang and then dropping down to the Somdang River, border between Rasuwaa and Dhading districts.A sprawling mining compound, no longer functioning but it seems locals appealing government to revive it, lies a few hours to the north upriver. The hike passes through a scenic valley featuring the 200 m Chukarma Waterfall. The former mine leaves a lot be explored and is the site of a 1.4 km tunnel bored into the mountain to extract zinc, copper, tin, crystal and even highly-prized rubies. Pangsang Kharka is a viewpoint southwest of Somdang village with a broad panorama of the surrounding terrain. 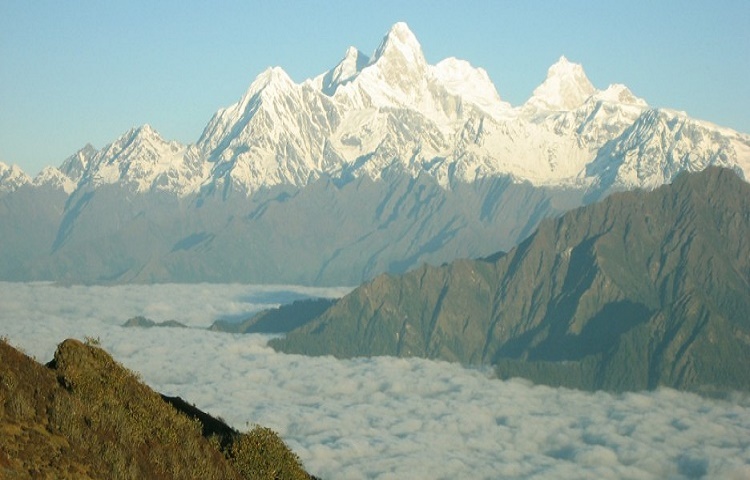 To the north are the soaring peaks of Manaslu and the Ganesh Himal Range. The large meadow is graced with a giant entry gateway and is a sensational location for camping and taking in the breathtaking scenery. 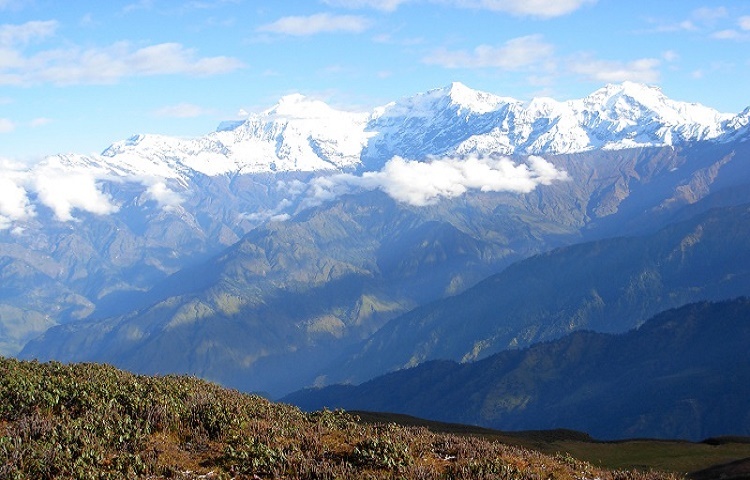 The whole Ganesh Himal region is blessed with abundant herbal plants. Previously, herbs were taken to Tibet along an ancient trade route and exchanged for salt, livestock, wool and turquoise.Descend to Tipling, a large village that hosts two Buddhist gombas and both a Protestant and Catholic church. Along a ridge top to the east is a gomba and cremation ground for both Buddhists and Christians lined with colorful flags. Being a majority of Tamang people it has beautiful Tamang culture show. Tamang people have own rich culture to show for the visitors jhankri or shaman dance, ghode or horse dance, said to have been brought from Tibetan culture long ago. Jhankri (shaman) activity is robust in this territory with the worship of natural forces and indigenous local deities interwoven with Hindu and Buddhist practices. Mane dance, Mendo Maya, Paru dance and Ghode (horse) dance as well as Lama (monk) dance are quite popular. Descend to cross the Adha Khola on a box bridge and ascend to the sister villages of Shertung and Chalish, regally overlooking the fertile river valley and abundant fields. Shertung is inhabited mainly by Tamang. The name Shertung means 'place of gold'. According to a legend , two brothers in search of gold were led here by a dream and thus the settlement was born. Tamang people have own rich culture to show for the visitors Jhankri or shaman dance, ghode or horse dance, said to have been brought from Tibetan culture long ago. Jhankri (shaman) activity is robust in this territory with the worship of natural forces and indigenous local deities interwoven with Hindu and Buddhist practices.Chalish is inhabited primarily by Gurung, Ghale and Kami. There used to be Newar people but they migrated to Kathmandu city. The hospitable people of this area have unique customs and craftsmanship and traditional dances, including a hospitable welcome dance, Ghatu Dance, Dohori is also popular with call and response between male and female participants, a type of courtship ritual, complemented by folk music. Some dances depend on the time of year and take place during festivals including the Maruni Dance during Dasai and Tihar, Hai Nelo Dance of Tihar, and the Ghatu (Ghasiri Dance) that occurs during Chandi Purnima in the Nepali month of Chaitra. Gurung men traditionally wear vangra, a woven, embroidered cotton cloth tied at the ends that serves as a pouch for carrying goods. Sri Tinkanya Devi Mandir lies above Chalish. Local women tie bits of cloth or leave a bangle representing a wish to be fulfilled near a small pool of water surrounded by Barmase or periwinkle flowers. 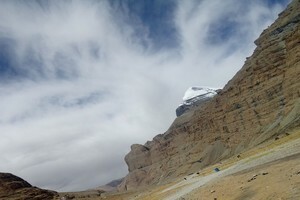 Have lunch in Shertung or in Chalish village and then trek continue to Boring. If you have lunch at Shertung village you trek to Borang via Ayui village whereas trekking via Chalish will be passing through Gobre gaon. Borang village also the Tamang community village and similar culture of Tipling and Shertung village will be found. After breakfast trek all the down to Lishne khola (2 hours walking) and trek continue to Percho where stop for lunch and trek continue to Darkha Gaon. Passing through suspension bridges, breath taking views of Ankhu khola and Chyamchyat as well as Ri village other side of the river finally reach at Darkha gaon. This village is mix culture village of Brahmin people and Tamang as well as Dalit. After breakfast trek all the way down to Darkha Phedi taking 2 hours down hill walk to Kintang Phedi. Then about 3 hours ascending to the hills you will reach a beautiful village Phulkharkha. The place is very peaceful with a clean and beautiful surrounding nature. Overnight as paying guest in a village typed house. You’ll drive to Dhading by a local jeep and you’ll drive from Dhading Bensi to Kathmandu. You will have a rest day in Kathmandu. This day you’ll have a shopping for souvenirs in Kathmandu and farewell dinner in Kathmandu onto the completion of the trekking. Overnight at hotel.